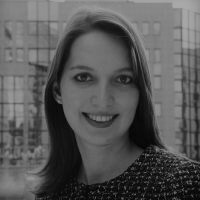 Kristine Berzina is a senior fellow at the Brussels office of the German Marshall Fund where she focuses on U.S.–EU relations, NATO, energy, and emerging security challenges. She also analyses Russia’s foreign policy and writes about Baltic foreign policy and security issues. Berzina’s current work tracks how the digitalisation of the energy sector can create new opportunities and security vulnerabilities for communities.